Sincere and meaningful, the Yellow Rose is the traditional symbol of friendship and new beginnings. 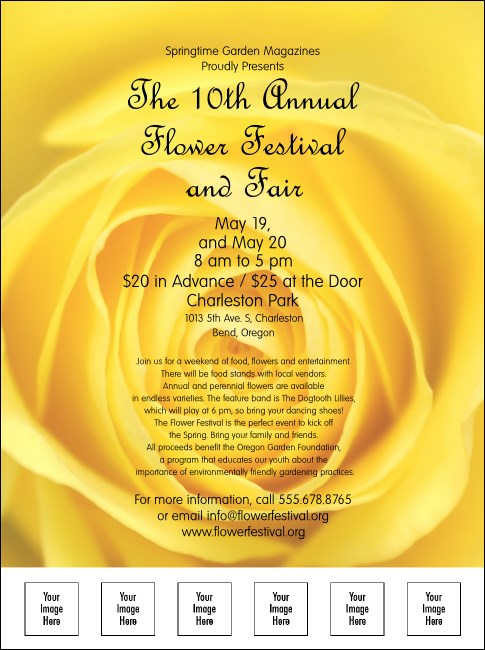 Let the charm and beautiful design of our Yellow Rose Flyers advertise your next event! Lovely like a rose, these Flyers look stunning, plus they allow you to customize text and upload your own images or logos to the template. Sit back, relax, and let success unfold with TicketPrinting.com!